We are aware you have concerns over events surrounding our September 7 match against the Seattle Reign at the SoccerPlex that have shone a negative light on our organization and league. We want to share that in the last 48 hours we have met as a team, with coaches, and with ownership. While our primary job is to play soccer, we do not take social issues lightly and we care deeply about the growth and success of the NWSL. Our team is made up of diverse backgrounds and opinions. In fact, we believe this is a large part of why we have been so successful on the field this season. We come from many countries, ethnicities, and cultures. We proudly support and respect each other as individuals. We want to briefly respond as a team to the events surrounding our match against the Seattle Reign this past Wednesday. We respect our owner’s freedom to share his views and we understand his intentions. But as a team we don’t necessarily agree with those opinions or the actions taken on Wednesday evening. We believe in freedom of speech and expression as long as it’s respectfully demonstrated, even when we don’t agree on every issue. As a team, we were disappointed we were not informed of the plans for the national anthem or given an opportunity to weigh in on the decision. We regret that a historic accomplishment for the club was overshadowed by decisions that had nothing to do with the match. The chance to fully celebrate this achievement with our supporters and staff was taken from us. There are so many positive stories that should have been highlighted. It saddens us that these were lost in the moment. 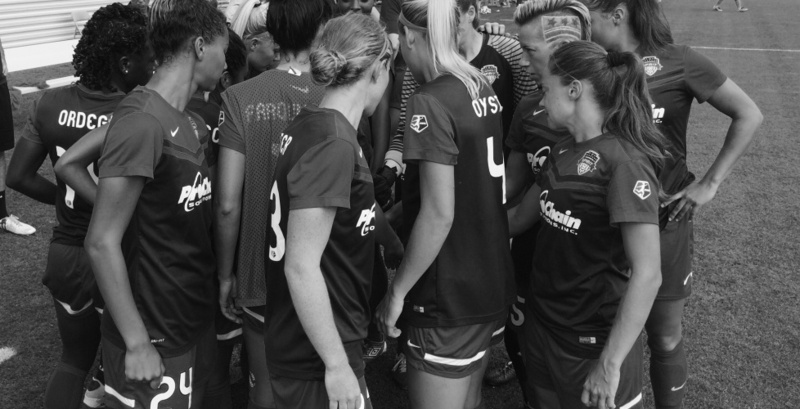 However, we want to assure our supporters that we remain solely focused on the same goal we had at the start of the season – winning an NWSL Championship. We have never wavered in our efforts to reach our goals. We are so proud to be in the position we are in and we are determined to succeed. We must thank our many supporters — especially the Spirit Squadron, who have our backs no matter what. We appreciate everything you have given us during the season. We would not be where we are without each of you. Together, let’s continue to focus on our ultimate goal – to bring a championship to Washington. We need you to continue to stand by the club. We truly want to be a part of the solution, not the problem. One way in which we can do that is to show that regardless of our personal views, we are united by our mutual respect for each other. Thank you for the tireless support…See you in the semifinals!